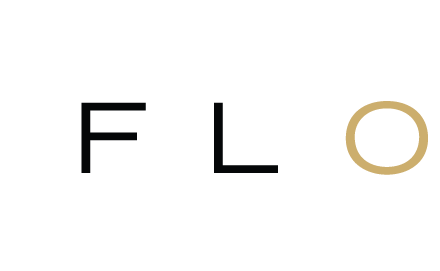 Flont, Inc., a NYC-based jewelry e-commerce platform, closed a $2m seed funding round. The round was led by Carmen Busquets, an early investor in Net-A-Porter, Glamsquad, Moda Operandi, and Farfetch, among many others, with participation from Natalia Busquets; Stephanie Stahl — former Chief Marketing Officer at Coach and Revlon; Miki Iwamura — Chief Marketing Officer of Google Japan and former VP of Marketing for Cartier; Jorge Mora — former Vice Chairman of Macquarie Capital; Jack Stahl — former CEO of Revlon and President of Coca- Cola; Denise Warren — former EVP of The New York Times and president of Tribune Newspapers; Mimi So — CEO of Mimi So Int’l and member and executive board treasurer of the Council of Fashion Designers of America; Michael Crotty — former Chief Marketing Officer of Hudson’s Bay and Neiman Marcus; Milton Pedraza — CEO of The Luxury Institute; George Matouk — CEO of John Matouk & Co.; Kenny Blatt — COO of CPG Real Estate & owner of the Ritz-Carlton Dorado Beach Resort; Vlad Portnoy — Head of Strategic Investments at Jefferies & Co.; Payal Shah — CEO of L’Dezen Jewelry; and Vadim Krivitsky — CEO of OakGem. Founded by Cormac Kinney, Flont provides a platform for consumers to discover, borrow, and buy fine jewelry. For $249 per month, members are able to borrow $60,000 worth of jewelry per year, with the option to choose a new piece every month from an expertly-curated collection with insurance and FedEx shipping included. If members like a piece, they can buy it off at a discounted price. In addition to membership, Flont offers short term rentals, online sales, and luxurious gift cards. The company has exclusive partnerships with many artisan designers, and also hand selects signed pieces from dozens of global brands, including Cartier, Bulgari and Van Cleef & Arpels. Large global brands have the option to license Flont’s sharing platform for their own private label use, and the company has two such pilots in development.